KoKo is a super intelligent beautiful dark chocolate female. She weighs in at 85 pounds. KoKo loves to hunt and is naturally talented in the field. 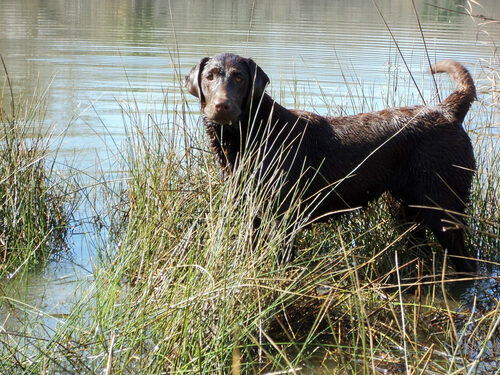 She's a duck hunters dream. She has phenomenal drive and agility. She is the greatest hunting companion one could ask for. Koko is very focused, well built and loves training and has a natural instinct in the field. Many of KoKo's grandparents and great grandparents are titled hunters. 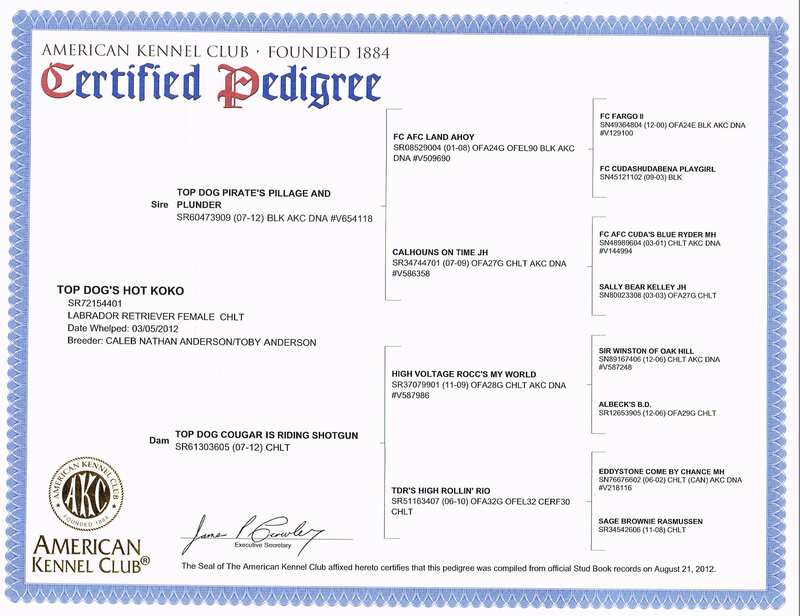 Her pedigree includes FC Landahoy Pirate, FC Forgo 11, FC Cudashydabena Playgirl,Calhouns on JH,FC AFC Cudas Blue Ryder MH, Eddystone Come by Chance MH, Candlewoods Tanksalot NFC FC AFC, Candlewoods Super Tanker NFC AFC, Rascals Superspud CFC, Barracuda Blue MH FC AFC. Copyright © 2018 Pacific Flyway Labradors. All rights reserved.